Battery-Kutter correctly disposes of the toxic substances in lead batteries and other standard batteries! "Battery-Kutter is conscious of our responsibility when it comes to substances that might be harmful to the environment, and that's why safe disposal of batteries is an important aspect of our work. In order to spread awareness and simplify the disposal process, we provide a cost-free battery disposal service for our customers. 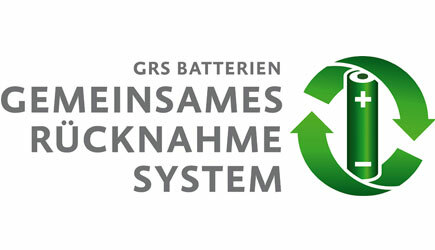 The "GEMEINSAME RÜCKNAHMESYSTEM" (General Collection Programme for batteries) is a foundation that guarantees universal collection of used batteries in Germany. It was set up in May 1988 by leading battery producers and the Central Association for Electronic Technology and the Electronic Industry. The foundation is funded by the contributions of its members, with manufacturers and importers paying disposal costs according to the size and type of batteries that they sell in Germany. These are then passed on to the foundation via a trustee." According to the ""Regulation determining the collection and disposal of batteries and rechargeable batteries"", batteries must never be disposed of with ordinary rubbish. 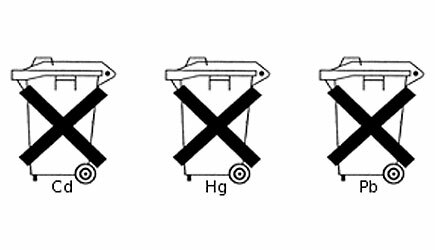 The end-consumer is obliged to return used batteries to a distributor or at one of the official battery collection points. Please make use of the free collection service for your used batteries at collecting boxes or public collection points - such as local waste disposal units. Batteries and rechargeable batteries displaying the symbols listed below, and which were either acquired through us, or are being replaced by batteries acquired through us, can be sent to us by free-post for to be disposed of free of charge. Bear in mind that used batteries and rechargeable batteries must be properly and safely packaged, with the contacts secured (to prevent risk of fire).